Claire qualified as a solicitor in 2008 and brings a wealth of experience to our dispute resolution team, having spent the early part of her career at a Midlands based law firm. 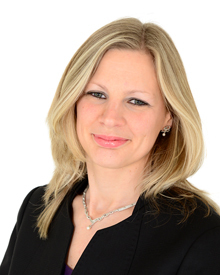 Claire understands the commercial needs of her clients and aims to resolves disputes in a timely and cost effective manner. Her approach is practical and forward thinking while proving clear and strategic advice. Claire has a particular interest in contract disputes and dealing with manufacturers. Claire has been actively involved in a number of organisations including the Association of Women Solicitors (West Midlands Branch), Birmingham Best Practice and BNI. Having held managerial roles in these organisations Claire draws on her experience to assist clients across a wide range of industries and sectors. Claire acts for a number of local and regional clients, including companies, partnerships, sole traders and private individuals. She advises on a wide range of matters including contract disputes, business sale and warranty disputes, professional negligence, residential landlord and tenant, property disputes and boundary disputes.